King Juan Carlos’ traditional Christmas speech was knocked off the air in Catalonia for the first time in 30 years. Catalonian public TV attributed the move to a strike and denied claims it was linked to the push for independence from Spain in the region. Catalonia’s public channel TV3 showed a regular news broadcast instead of the Spanish monarch’s Christmas Eve address. Workers at the channel held a half-hour strike that coincided with the speech to protest budget cuts and production outsourcing. Cuts to the autonomous northern region’s state services have become a major bone of contention with Madrid amid the financial crisis. 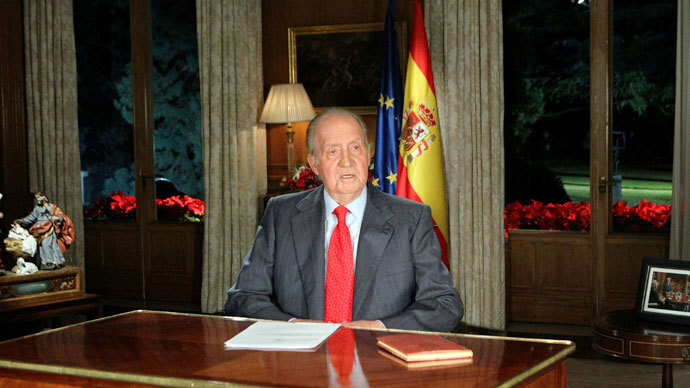 TV3’s press service rejected claims that the move to take the King’s speech off the air, for the first time since the monarchy was restored in Spain, was linked to growing separatist tensions in the region. In addition, the Basque Country’s public television channel, Euskal Telebista (EiTB), refrained from showing the King’s speech. The region has often shunned the King’s yearly address, but, has for the last four years broadcast the speech with subtitles in the Basque language. The Basque regional government, which has been critical of the monarchy in the past, gave an assurance that the decision not to broadcast “has nothing to do” with the separatist movement and said it was up to EiTB to choose what they broadcast. 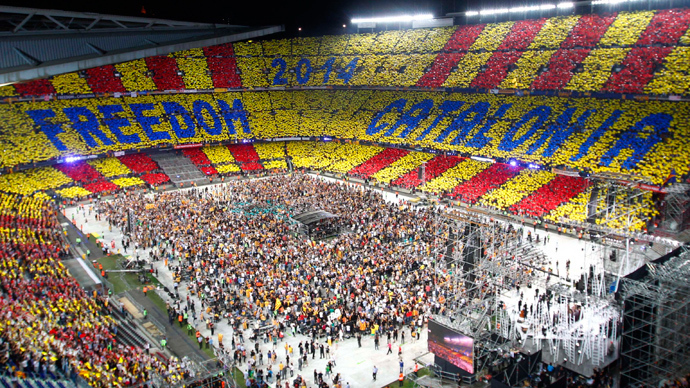 Although the Spanish King did not broach the contentious issue of the Catalonian independence during his address, he appealed to the Spanish people to unite and overcome their differences and find common ground. “Together we have resolved problems even more difficult than the ones we face today and we've always aimed for the same common goal. Spain is a great nation that is worth fighting for,” said the King, urging the Spanish to carry on along the same path “together”. 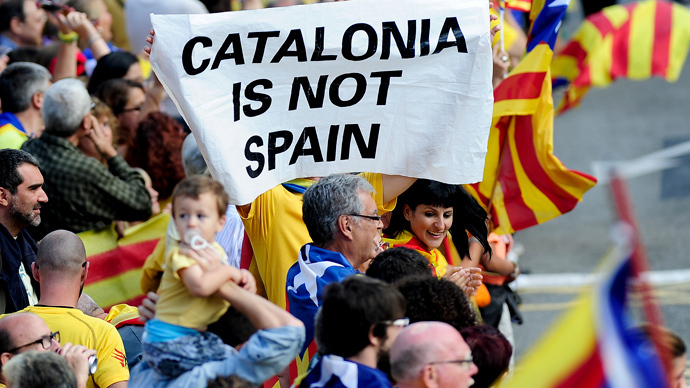 The autonomous region of Catalonia, which has its own language, has a population of about 7.6 million and is responsible for around a fifth of Spain’s GDP. Recent years have seen a resurgence in the separatist movement, with calls for independence in a climate of economic unrest. Catalonia’s regional government has set a date for a referendum to vote on whether or not to separate from Spain for November of next year. 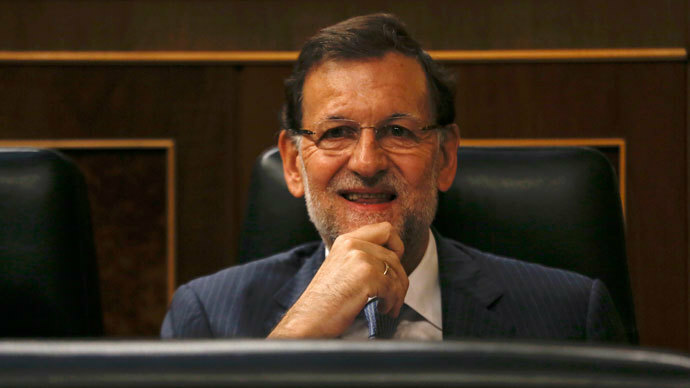 Madrid has condemned the decision as “unconstitutional” and said it will block the referendum.